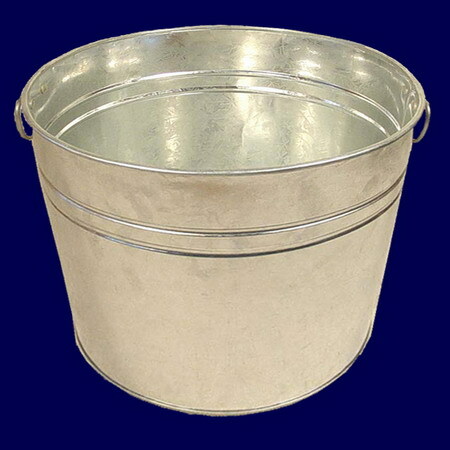 This galvanized pail makes a great gift basket for plants. It measures 10" in diameter at the top, 7.625" in diameter at the bottom, 9" deep. The dimensions are based on the inside measurements. It holds a 10" grower pot.